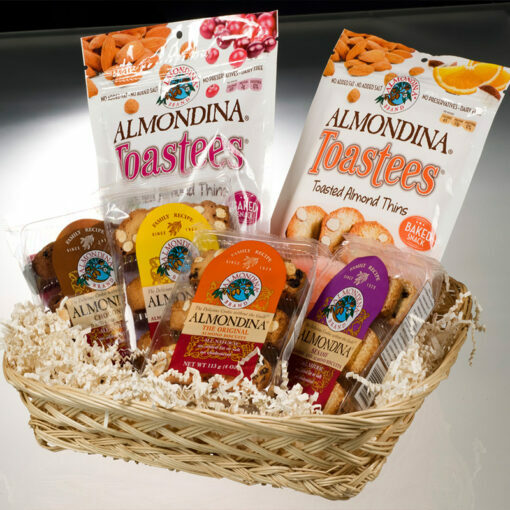 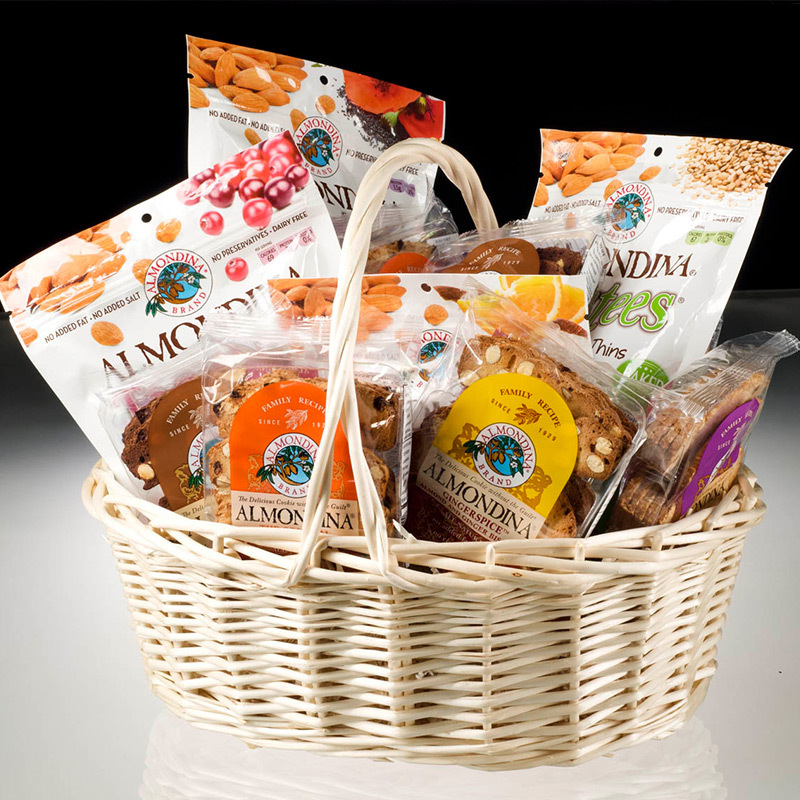 This gift basket allows you to sample four trays of our 4oz first generation line of cookies and two bags of our bite sized, snackable Toastees. Give this gift basket of special morning treats. 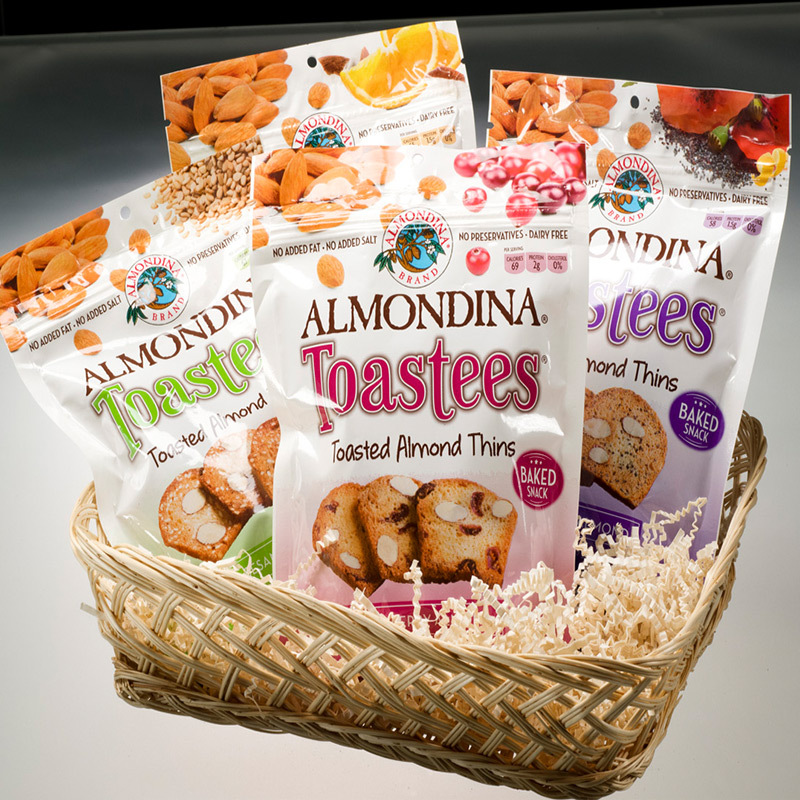 4 packs of cookies and 2 bags of Toastees in a basket tray with clear wrap and bow.